/ Modified jan 28, 2019 8:59 a.m.
FLAGSTAFF — Western states are watching with interest as Arizona comes up against a deadline to approve a plan to ensure a key reservoir doesn't become unusable for the farmers, cities, tribes and developers that depend on it. The other six states in the Colorado River basin have agreed to plans that recognize a long-running drought, the dwindling supply of water and how they intend to cope with it. Arizona's plan has broad support but it hasn't been approved by the Legislature, a factor that has made the negotiations on the drought contingency plan more complex. No other state required lawmakers to sign off. The U.S. Bureau of Reclamation expects full agreement Thursday. If the deadline isn't met, the agency will ask states to weigh in on how the overtaxed river water should be allocated ahead of its shortage projections in August. Without a consensus plan, the federal agency has said it will make the rules. "To date, Interior is very supportive and extremely patient with the pace of progress of the DCP [drought contingency plan]," the agency said in a statement. "The delay increases the risk for us all." The deadline requires only that the states sign off on the drought plan. There is no legal requirement to figure out exactly how states will live up to the reductions outlined. Under existing guidelines, Arizona would be first hit and hardest in the lower basin if Lake Mead on the state's border with Nevada falls below 1,075 feet because Arizona has the lowest priority rights to the river. If the drought plan is approved, cuts would be spread more widely and eventually loop in California. Mexico also has agreed to cutbacks. Arizona lawmakers want to see exactly how the plan will affect their constituents before they cast a vote, and tweaks to a handful of bills expected to be introduced will create more uncertainty. The Gila River Indian Community, for example, said it would pull support for the drought plan if other legislation attacks its water rights gained in a federal settlement. "I want to be absolutely certain that we look at this from every angle," said Republican state Sen. Sine Kerr from Buckeye, who owns a large dairy farm. "My greatest fear in any legislation, but in something this critical, are those unintended consequences. Did we think of everything?" Arizona Gov. Doug Ducey has made the plan a top priority. 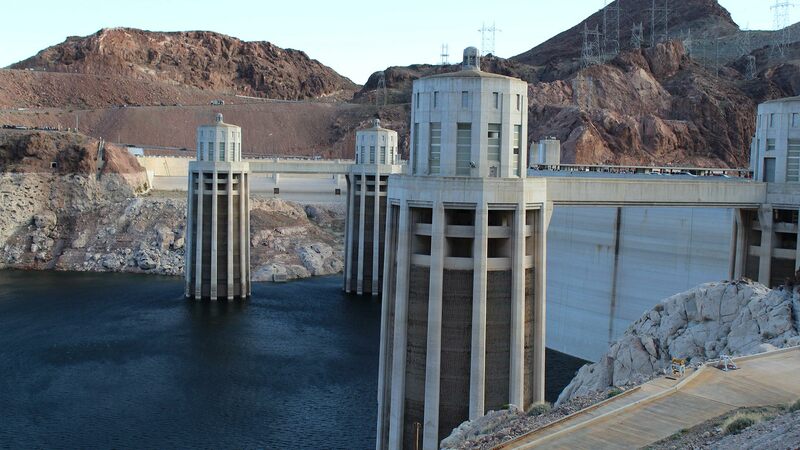 His budget includes $30 million to protect the levels in Lake Mead and $5 million for groundwater infrastructure. He's also highlighted the white bathtub ring around Lake Mead on his Twitter page. "Without DCP, there is not mitigation for anyone," said Warren Tenney, executive director of the Arizona Municipal Water Users Association. "As a state, there will be a cloud of uncertainty over our water future. We view the Jan. 31 deadline as a very real deadline." The four Upper Basin states — Colorado, Wyoming, Utah and New Mexico, had their drought contingency plan in place in December. If Arizona's plan collapses and the federal government steps in, those states could put in motion at least some of their own plan to meet their obligation to the lower basin states, water managers there said. Those include sending water from large reservoirs upstream of Lake Powell on the Arizona-Utah line to keep it from dropping so low water could not be delivered to Lake Mead. The Interior Department, the parent agency of the Bureau of Reclamation, is the water master of the river that serves 40 million people. Reclamation Commissioner Brenda Burman has said she's facing pressure from other states to limit Arizona's water deliveries without a complete drought plan. She's also predicted lawsuits. 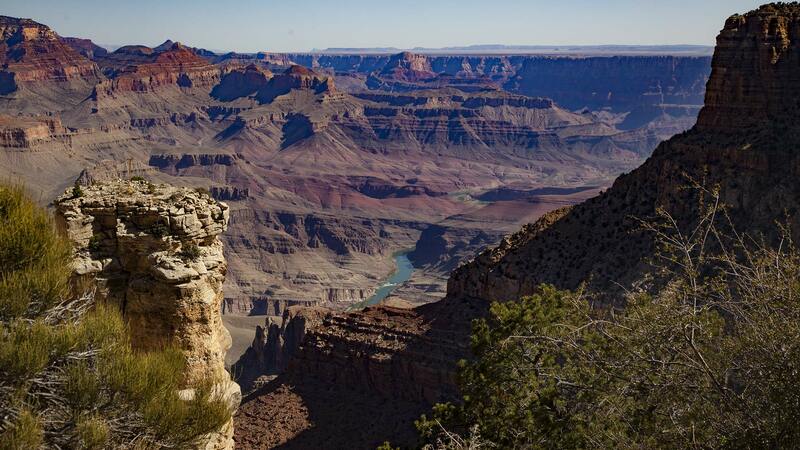 The Colorado River snakes through the Grand Canyon. Lawmakers in Arizona say they don't want to be rushed into making a decision. A bill authorizing the director of the Arizona Department of Water Resources to sign off on Arizona's plan has been introduced. A handful of others that deal with water storage credits, money for conservation and the value of effluent water have not. All need to pass or the drought plan will fail. Arizona must find a way to reduce its use of Colorado River water by up to 700,000 acre-feet — more than twice Nevada's yearly allocation under the drought plan. An acre-foot is enough to meet the needs of one to two households per year. An agreement negotiated by nearly 40 members of an Arizona steering committee representing tribes, cities, farmers, developers and others say they support the plan, mostly. Farmers in Pinal County want more money to drill wells and for other infrastructure to pump groundwater after access to Colorado River ends and an assurance the federal government will help financially. The drought plan gives them more water than they would have under current guidelines that expire in 2026 — the anticipated end of the drought plan. "In our view, that would be a major failure of the DCP if that piece doesn't come to fruition, so we're still looking for ways to backstop that," Paul Orme, who represents four irrigation districts, said at a recent Central Arizona Project board meeting. In California, the Imperial Irrigation District has signed intrastate agreements for the drought plan but said it won't implement the plan if it doesn't get $200 million to manage the Salton Sea. Falling water levels in the state's largest lake increase its salinity, exposing a dusty lakebed that worsens air quality when wind sweeps into nearby communities. "It should not be a secret to anybody on the river that this is a hanging issue for us," said Antonio Ortega, a district spokesman. The Metropolitan Water District, another major water user of Colorado River water in California, is pumping more water through its aqueducts to ensure the 500,000 acre-feet of water it has stored behind Lake Mead won't be stranded if the reservoir levels fall drastically and Arizona isn't on board with the drought plan, said the district's general manager, Jeff Kightlinger. "At the end of the day, Arizona needs this deal more than anybody and they know it," Kightlinger said. "California is stepping up to the plate here. We actually have the senior right to the river. Some people in California are saying, 'Why should we give anything?'"